Is the EU a failed experiment? What is the impact of European disintegration on Eastern Europe? What would happen if creditor countries left the euro? Are Europe's citizens ignorant about the costs of leaving the single currency? Has the EU had a firm plan for how it wanted to deal with Ukraine? 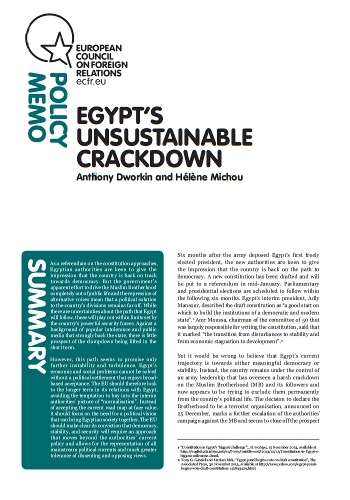 Since it took power from President Morsi last July, Egypt's military has cracked down on dissent in general and the Muslim Brotherhood in particular. Now, having successfully negotiated a constitutional referendum, Field Marshal Sisi appears ready to announce his candidacy for the post of president. A recent ECFR Black Coffee Morning in our London office examined these events and attempted to answer some key questions about Egypt's military and the possible response of the European Union. Understanding the nature and intentions of China's new governing elite is one of the most difficult but important concerns of the outside world. 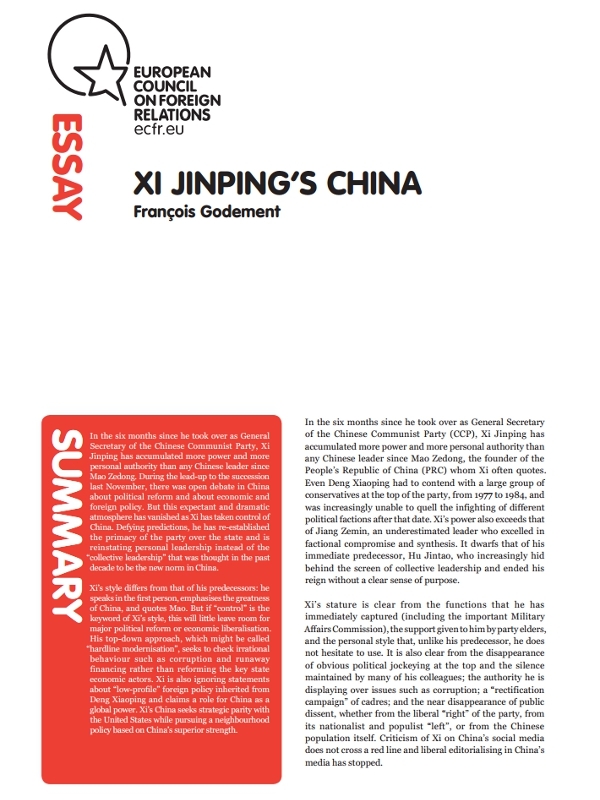 But from Xi Jinping downwards, China's internal power games and struggles remain opaque and difficult to understand. ECFR's London office recently hosted a Black Coffee Morning examining the nature of China's elites, hoping to shed some light on their motivations and nature, featuring the head of ECFR's China programme, Francois Godement, and the respected journalist and China-watcher, John Garnaut. Drones are now a fact of military (and civilian) life, but are the norms and laws of warfare able to cope with their use? 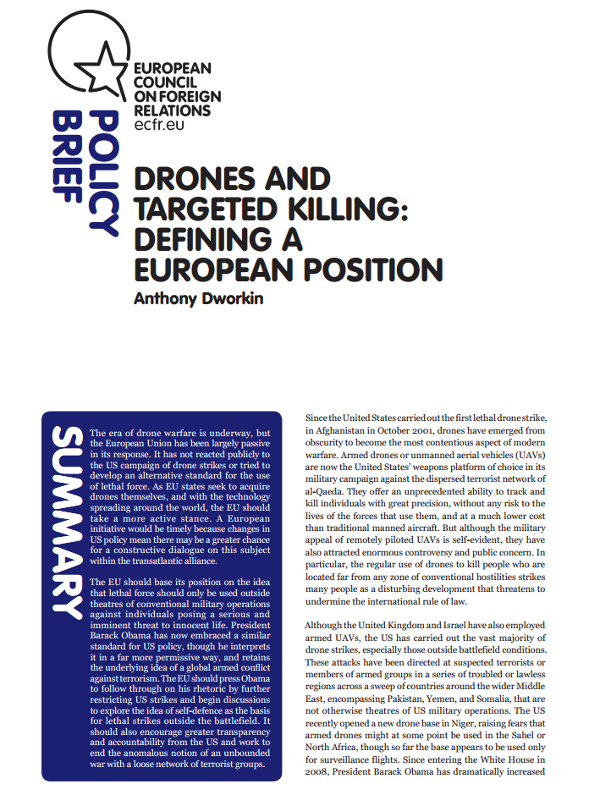 In recent months three important studies on the subject have been published: "Drones and targeted Killing: defining a European position" by ECFR's Anthony Dworkin; "Between a Drone and Al Qaeda" by Letta Tayler of Human Rights Watch; and "Will I be next?" by Mustafa Qadri of Amnesty International.